Excited to be working with the NAPCC on a new identity system and accompanying brochure. 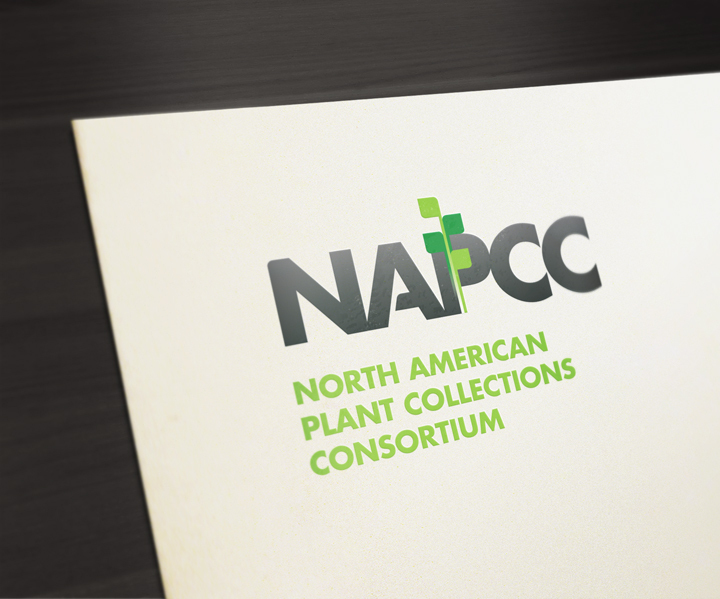 The North American Plant Collections Consortium is a network of botanical gardens and arboreta working to coordinate a continent-wide approach to plant germplasm preservation, and to promote high standards of plant collections management. A great cliet that provides latitude for creative work to happen. I came across a simple text-post that a friend placed on their FB page. It stuck with me for days, I was washing the dishes and it came to me again ... very Zen, that Wren. I have a typeface built by the Interview Magazine and Harper's Bazaar creative, Fabian Baron. I wanted to try out the face, so I put this together in a flash. Oh yeah, I put a bird on it, too. May 10, 2010 in Misc. I was typing an email to a client today using my hunt-and-peck method. Typing this way often results in the strangest characters finding their way into the text. In the world of instant spell-check, it does not force me to change my habits. I was typing the word "together" when a plus symbol decided it has been neglected in a big way over the years, and popped up between the letter "e" and "t". I call this a happy accident...or the genius mind operating under the keyboard. I stopped and looked at the mistake and saw the potential for the mistake to have meaning and decided to take 5 minutes to create the logotype above. As a creative, I often see relationships between unrelated objects, ideas words and visuals. Some of the most successful design projects that I have created were a result of keeping an open mind and not trying too hard. I was a bit inspired with the accidental relationship between the word "together" and the + symbol. The logotype could use some work, better kerning, maybe a more thoughtful placement of the +. And possibly a home. The logotype was set in Brauer Neu. My crazy typing method goes to show that the unintended can have great consequences, we must be relaxed and open enough to allow all possibilities to be visible to us, even when we are not looking. Michael Bierut tells it like it is, not how it should be. Thanks to Creative Mornings and Swiss Miss.